First things first, let's take a quick look back at that injury report. Why didn't anyone tell me that Wentworth Miller reprised his character from one of my favorite shows, Prison Break, added an "h" to his last name, and joined the Denver Broncos. All of that time at Sona in Season 3 really helped him bulk up I guess. And I wonder what non-injury related means. Maybe The Company conspired to get him thrown back in jail, and John Fox believes there is a very good chance that he escapes in time for today's game in New York. It figures. That's something Michael Sc(h)ofield would do. As for today's game, I would rather be in jail than watch Peyton Manning destroy the Jets this afternoon. It's going to be rather unpleasant seeing the Jets' secondary get fooled over and over by Manning's audibles, and lag behind Denver's quick receivers. As they might be playing for Rex Ryan's job, I think the Jets will have worked a few things out offensively, and are ready to put together an okay performance against a Denver defense that has been good but not great so far, and keep the score close thanks to some garbage time points. I hate to write yet another very short preview for the Jets, but there isn't much to say. Peyton Manning vs. the Jets secondary is not going to end well for the Jets. There's a good chance he tops his career high 479 passing yards that he set just last week against the Cardinals. The Jets will score 17 points in the 4th quarter. Hello, garbage time. 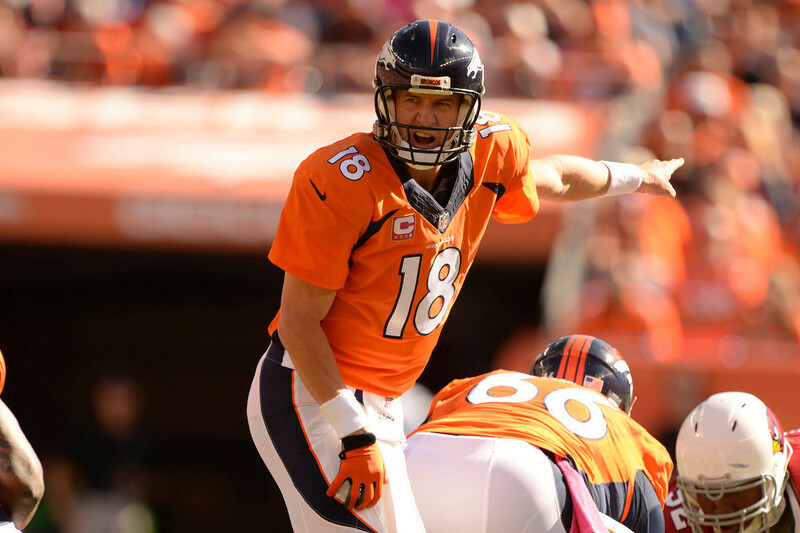 Peyton Manning will throw for 5 touchdowns. Demaryius Thomas, Julius Thomas, and Emmanuel Sanders fantasy owners, get ready.